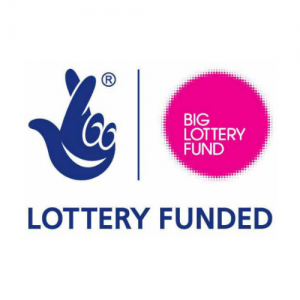 We supported the Big Lottery as they announced a new round of funding to support young people. Shout! produced a news package video which featured case studies, placed the story and video online, and also secured live sofa chats on two national breakfast programmes. We produced a video news package to highlight anxiety and the impact on mental health in young people after Big Lottery research revealed that almost half of young people had been unable to sleep because of stress or worry. The package featured interviews with young people, a Big Lottery spokesperson and X Factor runner-up Jahmene Douglas. We also sold the story in to broadcasters and online. TV highlights included Daybreak and Sky News, while websites that covered the story included ITV news online, Independent online and Newsround online. The story covered some very sensitive subjects – around the mental health of young people – and we were working with young people who had experienced mental health problems. Plus with young people to film in Newcastle, the Big Lottery spokesperson in London and Jahmene heading back to the UK on a flight from Dubai this was a logistically challenging shoot. Our team are very professional and were particularly sensitive and cautious when working with the young people – they helped them to tell their stories, and were careful not to exploit them. In terms of logistics, we made sure that we were highly organised and could fit everything in to the given time, while maintaining high production values, and giving ourselves enough time to sell-in. We secured sofa opportunities on Sky News Sunrise and Daybreak and the video that we produced was placed on a range of targeted and appropriate news and lifestyle websites.